Aldi’s Cycling & Pro-Cycling Ranges; Now In Stock..
For anyone that is not aware; every Thursday and Sundays Aldi have a brand new range of Specialbuys products in-store. They cover almost everything ranging from baby and toddler, home and garden to technology. All at great prices and when they are gone, they are gone! Today’s Specialbuys are Cycling & Pro-Cycling ranges. They have a full range of clothing and accessories to keep you warm and safe when out and about on your bikes this Autumn/Winter. I am a big fan of getting out on the bike; the only reason I have not been to the gym on my bike lately is that my pump had broken. It is so hard trying to cycle when you tyres are not fully pumped up. Have you ever tried riding a bike when the tyres need pumping? It is like cycling through treacle. Although I have never tried cycling through treacle. I can imagine it is like that! At least if you fell off it would taste good!! I will be down to Aldi over the next few days to check out their high pressure pump that they have coming in store today for only £14.99! 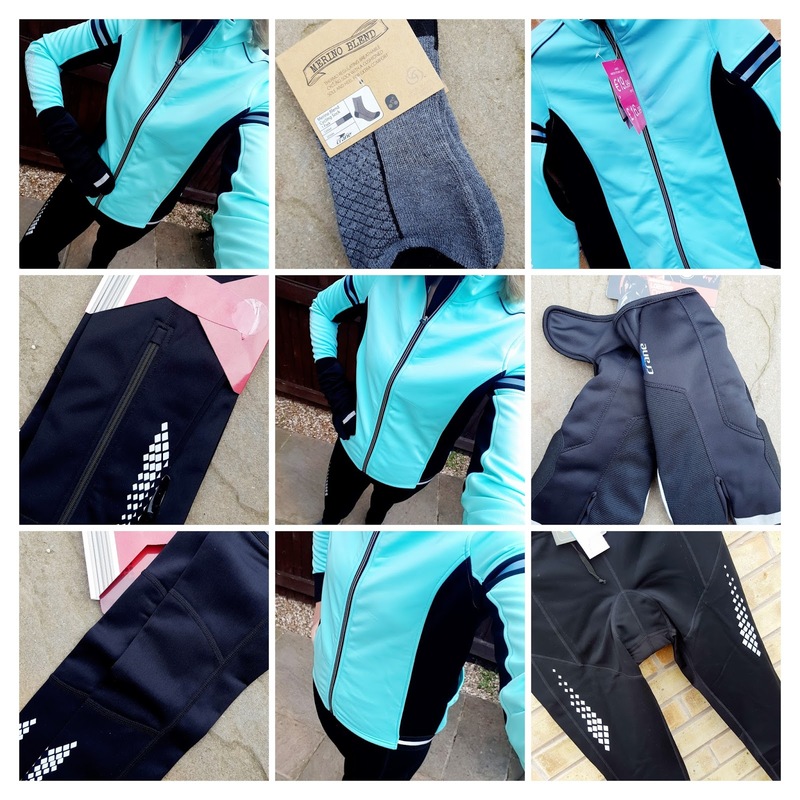 They also have a great range of Winter clothing for wearing on your bike rides, gloves, socks, lights, bike stands, a Garmin edge and a cool fluid turbo trainer for riding your bike indoors on dark night! I am loving the range and Aldi kindly sent me some of their clothing to try out. 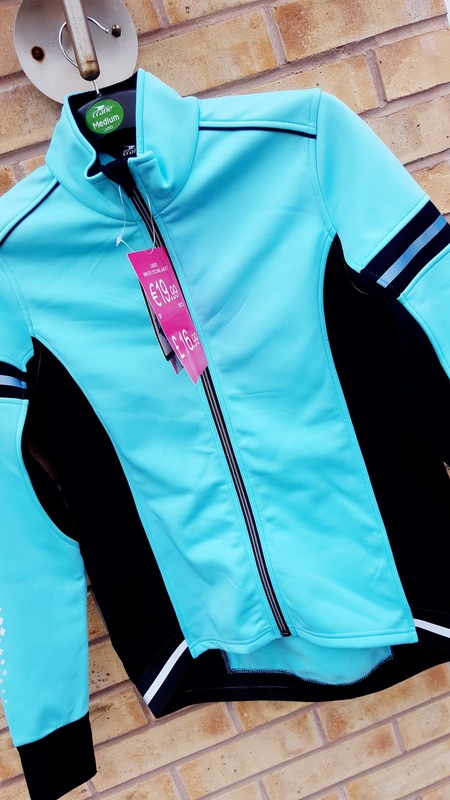 How lovely is this Ladies Winter Cycling Jacket!? What a great colour to be seen on dark nights. The material feels lovely and it has Inside brushed feel fabric to keep you warm. The jacket is water repellent, has a stand up collar, YKK® front zip, Reflective details so you can be seen on dark nights, a zipped back pocket, 3 open back pocket, elongated back hem with anti slippage. What more could you need to keep you seen and warm!? I think this jacket is a great price at only £16.99 each. 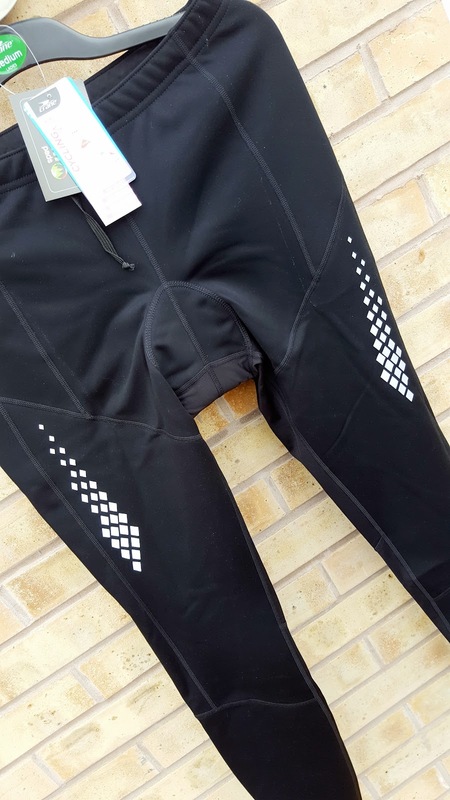 These cycling tights are great. They feature a super-comfy Italian gel seatpad, perfect for comfort on long bike rides. There’s an elastic waistband for a perfect fit,with a black cord to loosen and tighten as you like. Along with YKK leg zips and reflective details. They also have a warm and cosy feel to the fabric inside to protect you from the cold weather. 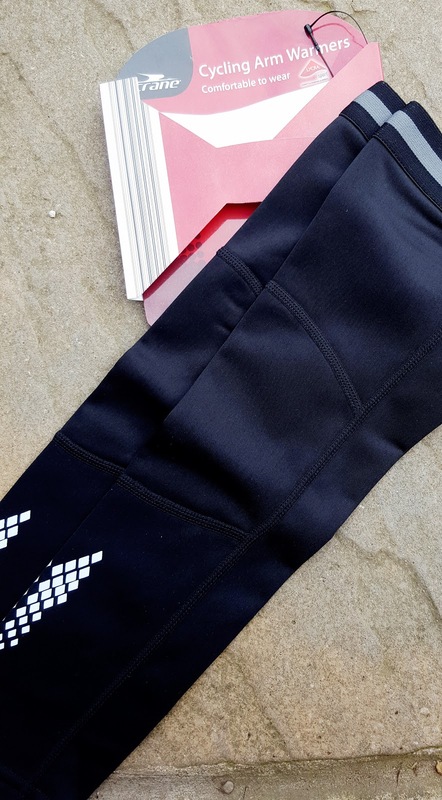 These black leg warmers are wind and water resistant, with a brushed interior for warmth – ideal for cycling. Highly elastic fabric, wind resistant and water resistant, silicone strips to help grip shorts, front lower leg panels, anti-slip silicone tape to help grip to shorts, reflective print for better visibility, flatlock seams for comfort, YKK® zips and also inside brushed for warmth. I love the arm warmers. 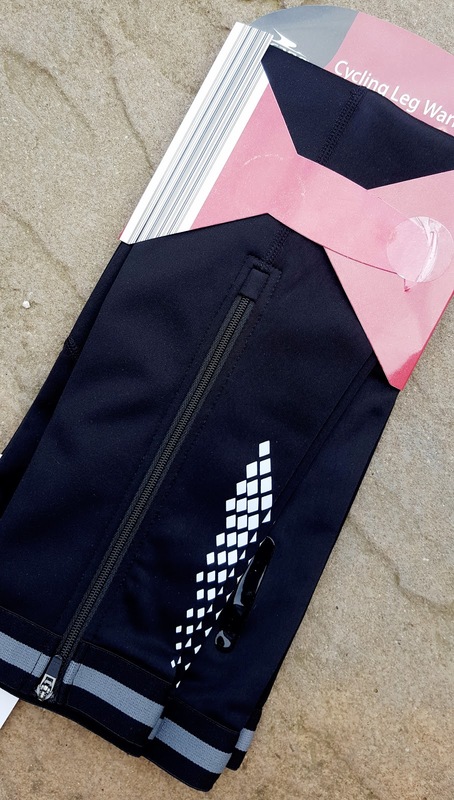 They also have a brushed interior, highly elastic fabric, water repellent, inside brushed fabric for warmth, reflective print for better visibility anti-slip silicone tape, flatlock seams for comfort. They will be great for keeping my arms warm when cycling to the gym. 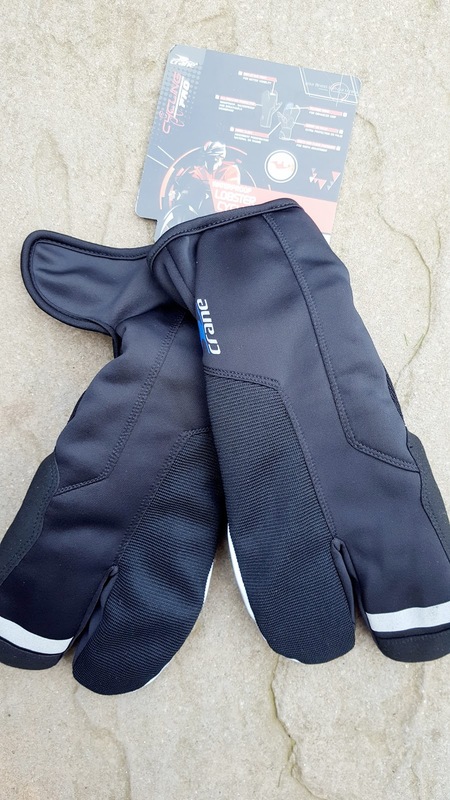 The waterproof lobster style cycling gloves are so much fun. They are breathable, waterproof and windproof membrane gloves with 3M Thinsulate™ protection. Suitable for all-weather protection, reflective print, silicone print, Terry cloth insert on palm Touch-and-close fastener. 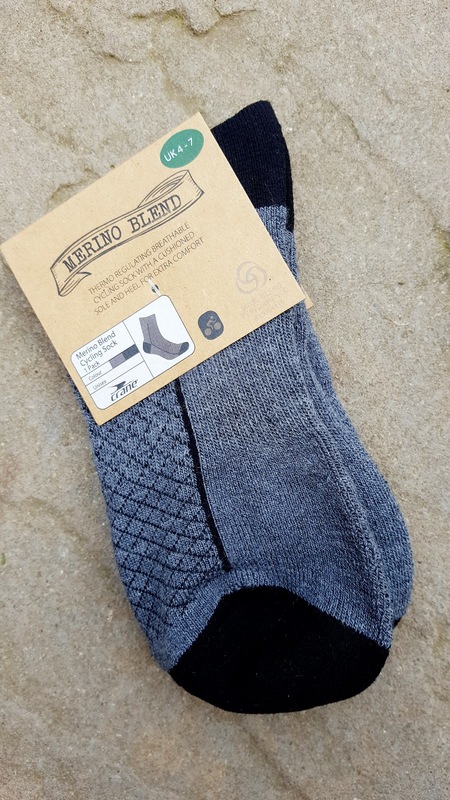 These Merino Blend Cycling Socks are designed to keep you comfy while you cycle.These cycling socks have special cushioning on the sole and heel, along with reinforcement in key areas to support you while you cycle. Features: cushioned sole and heel, elasticated arch support, reinforced heel and toe and breathable vents. All in all; a great selection at great prices. ..but remember, When it’s gone, it’s gone!! Seen any products you like the look of? Well get to Aldi!!! 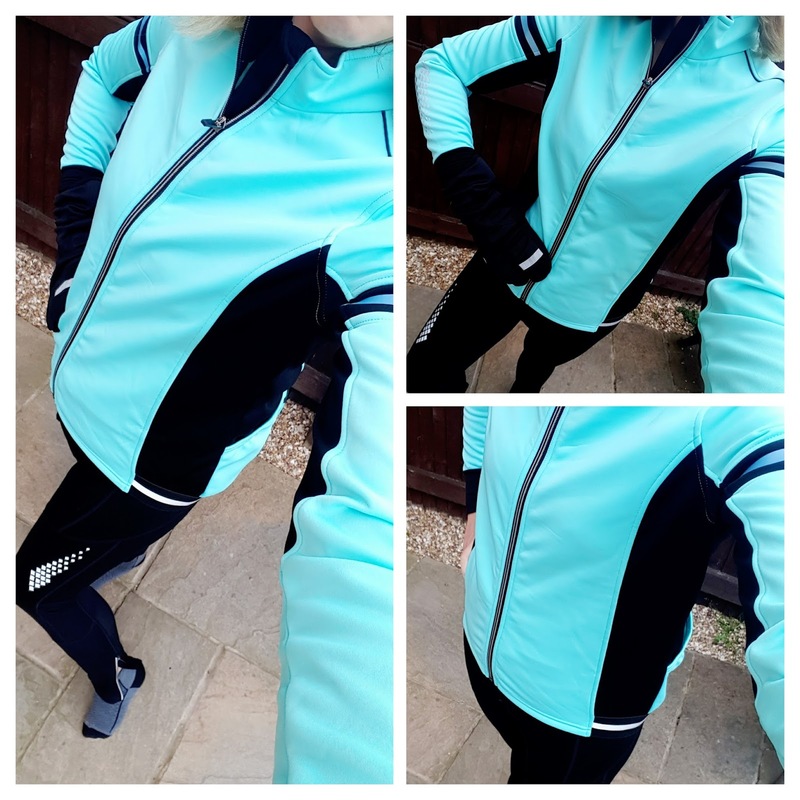 I was sent a some cycling clothing from Aldi for the purpose of this review. All thoughts are my own and I was not paid for his post. Thanks for supporting the brands I work with. "Shredded Turkey Salad with Fresh Mint, Miso Kale, Flaked Almonds, Avocado and Pomegranate…"
How amazing!It actually looks like lovely fashionable stuff also. Fantastic post Claire! I cycle to work everyday and it's obviously getting a bit colder now so need to think about changing my cycle gear. I'll be sure to check out Aldi now I know they do such a great range! Thank you Jon 🙂 They are super warm and cosy.. Very stylish! I love biking in gym, but padded pants would still be nice!! My husband cycles to work and has brought a few things from aldi from their cycling range before they are great value for money too. Thanks Dean, who the get lots of different items of clothing in .. I did not know Aldi did this! Thanks for the heads up. They're building a store near me at the moment, so I'll be sure to have a look once its open. These clothes do look really good, and great value too. Thanks, I have lots of Aldi's fitness clothes. They are really good materials and always great prices. 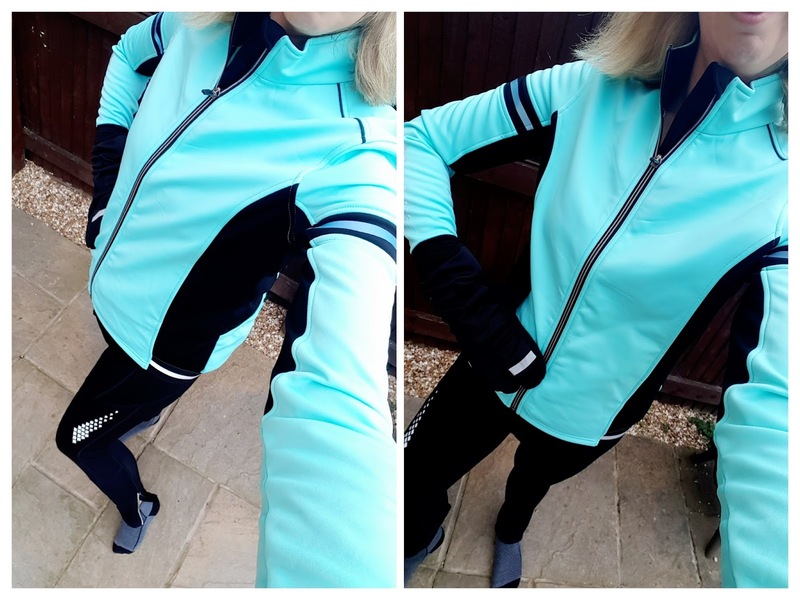 Thanks Chloe, it is lovely and warm too without being to heavy 🙂 Going to keep me warm on my bike rides to the gym.. Fantastic colour! Looks pretty and comfy.